The Rocky Mountains are a mountain range that run from British Columbia in Canada down to New Mexico and Texas in the USA. They are distinct from the mountain ranges further west. The Continental Divide runs through the Rocky Mountains this line separating the waters that run into the Pacific or the Atlantic Oceans. 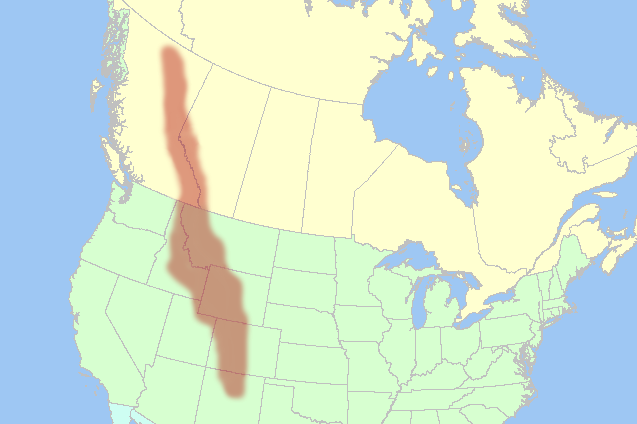 The Rocky Mountains contain many important North American ski resorts. Keystone is one of the Summit County ski resorts in Colorado. Keystone stretches seven miles along the Snake River, over three mountains, 3,128 vertical feet, 3,148 acres of terrain. You can stay in the resort which has ample facilities, or down the road in other Summit County locations. There is no real town in Keystone which is more a self contained ski resort than a town. There are a couple of base areas servicing the various mountain areas. With a high base elevation the Summit County area has a long ski season which is relatively snow sure, as the risk of melting is low, and there is good opportunity for snow-making. Keystone can be easily accessed from Denver Airport. This is probably the easiest airport to use. Vail/Eagle Creek airport is a little closer but this airport is more likely to be closed due to poor weather.